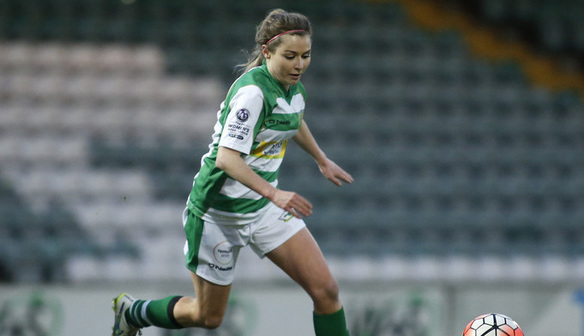 Yeovil Town Ladies top goal scorer, Sarah Wiltshire is back in the green and white stripes for Spring Series! 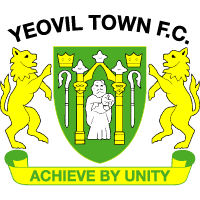 Today is a very special day for Yeovil Town Ladies for several reasons. The club begin their journey in top- flight football for the first time in history, as well as being streamed live via the BBC Sport Website and commentary on BBC Somerset Radio. Striker, Sarah Wiltshire makes her return to Somerset after giving birth to her first child. Sarah Wiltshire is The Lady Glover’s top goal scorer of the 2016 season, netting 12 goals, despite not playing the last six matches due to announcing her pregnancy. Sarah stopped playing football at 13 weeks into her pregnancy, yet still played a significant part in helping her team gain promotion in to WSL 1 as champions. The twenty- five- year- old recently went back to football at loan club Cambridge United Women, who is managed by her husband Steven Edwards and came on as a substitute after less than 5 weeks of giving birth to daughter Alexa- Rose. Having scored 6 out of 6 games for Cambridge United Women, Wiltshire is ready to re- join Yeovil Town Ladies on their new exciting challenge in Women’s Super League 1. ”I’m really excited. I didn’t think I’d be back so soon. I’m buzzing to be back. "It was always in my plan to return, I just wasn’t really sure when that was going to be. "I absolutely love being a Mum. I’m the happiest I have ever been. She makes me happy and even more excited to play football. "We want to show what we’re about as a team. Liverpool are a very good team who have established themselves in the top flight. We want to see how we can compete against a club like that. "On a personal level, it is amazing to see Sarah back playing so quickly. Everything has been done correctly, which is the main thing, following protocol from the club doctor, making sure that she is ready. "She’s been around the squad for a couple of weeks. We know she is sharp. "She has scored goals wherever I have been. She is a goal scorer. She knows where the back of the net is and she doesn’t need two chances. "We match her and she matches us. She thrives in our environment. We’re happy that she’s back and that she’s raring to go."